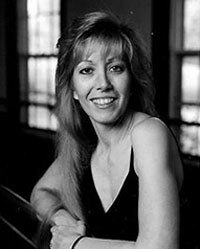 For over 40 years a dedicated full-time instructor, director, and choreographer, Juanita holds a Bachelor of Arts Degree in Dance from prestigious Butler University - Jordan College of Fine Arts. She has trained in the country’s finest schools - American Ballet Theater, North Carolina School of the Arts, and The Broadway Dance Center, to name a few. Juanita attends the World Jazz Dance Congress and has studied with world-renowned instructors – Finus Jung, Savion Glover, Luigi, Frank Hatchett, Phil Black, George Verdak (Ballet Russe de Monte Carlo), Peggy Dorsey (Royal Ballet), Melissa Hayden, and many others. Juanita is honored to be the recipient of the Piedmont Council of the Arts 2005 Arts Award in recognition for her exceptional service to our community in the area of education. New York City - Phil Black’s Times Square Studio: taught adults and professional children working in Broadway shows; lecture/demonstrations and master classes in the New York City Public School System; New York Dance Theater - company classes; Frank Ohman (Soloist with New York City Ballet) School of Ballet, New York; co-founder with Frank Ohman of the New York Children’s Dance Theater. Virginia - Developed and taught the entire comprehensive dance program for The University of Virginia Continuing Education Department including technique classes and dance history lectures; founder and faculty advisor for The Virginia Dance Company (formerly The University of Virginia Dance Club), dance instructor for daytime credit dance courses at The University of Virginia for 27 years and 2 years in the Dance Department at James Madison University. Children’s Rehearsal Ballet Mistress for Moscow Ballet Company and the Moscow State Ballet Company - The Great Russian Nutcracker for 6 years. University of Virginia Film Festival – moderated the panel discussion after the Premiere of the Robert Altman Film “The Company.” Panelists included the producer and two dancers from the Joffrey Ballet who appeared in the film with other members of the Joffrey Ballet Company.